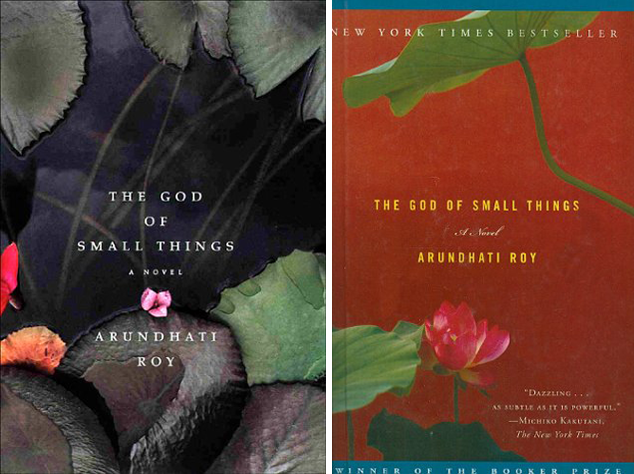 I checked the first book off my reading list by finishing The God of Small Things. I really enjoy reading about family relationships, so I was excited to sink my teeth into this novel. The book vacillates between 1993 and the 1960's following the relationship between two twins Rahel and Estha. The novel primarily focuses on the time when the twins were children and the events that led up to an occurrence that would change their lives forever. We also get to know several other relatives very well - primarily their mother Ammu, their grandaunt Baby Kochamma, their uncle Chacko and a worker Velutha. The family dynamics are interesting, as the majority of the relatives are women. The Indian caste system also play a huge role in the novel's storyline. Now to the fun stuff - was it any good? I enjoyed the book but I did feel that it dragged on, and that's saying something as it wasn't a long novel. Also, the huge event that is built up to epic proportions in the book, was horrible, but I didn't understand the emotional connection we were supposed to have to Velutha. As a reader, we barely interact with him until the moment he is brutally beaten. In addition, the storyline makes it seem like Ammu and Velutha had a love story for the ages but it turns out they were only together for two weeks. Am I getting something wrong? If you read this book please feel free to correct me. Also, Anhriduti confused me by jumping from one time period to the next. Her writing is so verbose that it was hard for me to follow when we were. My overall assessment is that it's a read-worthy book but it is by no means my new favorite novel.